This Dragotac slim is a Collaboration between custom knife designer and maker Bastien Coves of Bastinelli Creations and Italian manufacturer Fox Cutlery. The satin finish N690 stainless steel, flat ground blade leaves the factory razor sharp. It is held in place during use with the pressure from ones thumb on the extended tang and is thus classed as a non-locking knife. The handle is black fiberglass-reinforced nylon which is very durable, great to look at and very tactile. 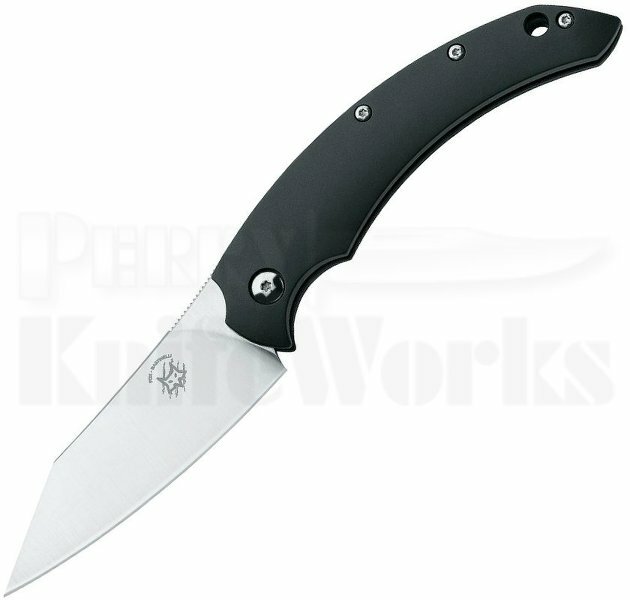 It is supplied with a black leather sheath.